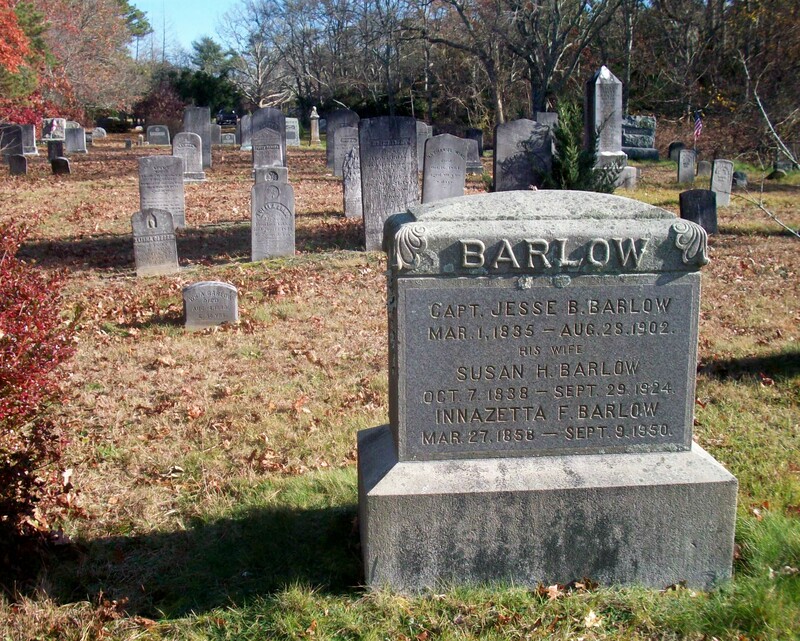 Born: March 1, 1835 in Sandwich Ma. Where Lived: 424 Barlows Landing Rd. in Pocasset Ma. 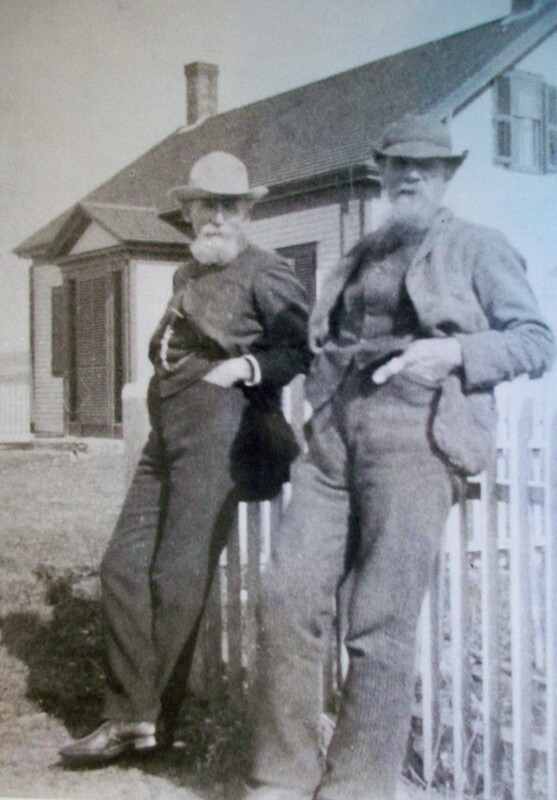 Married: September 30, 1857 in Sandwich Ma. 1. 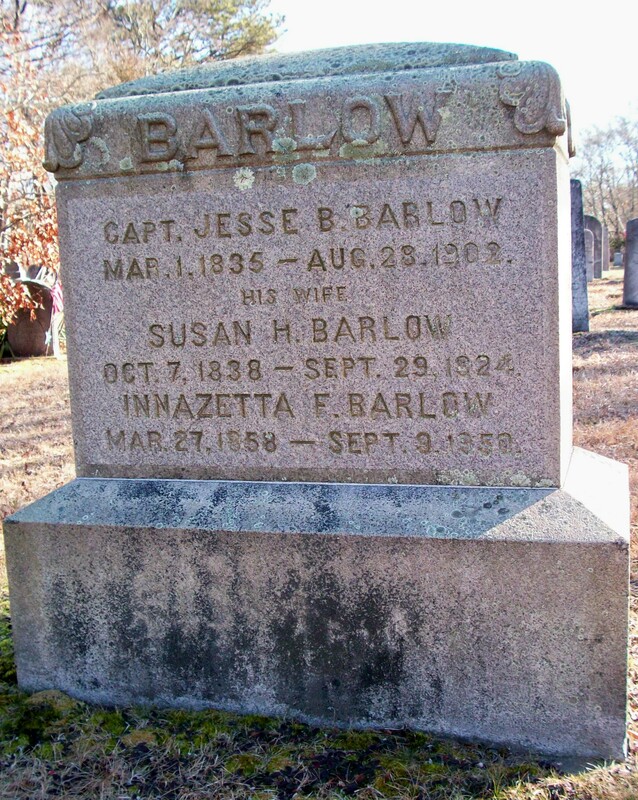 Innazetta F. Barlow; (March 27, 1858 – September 9, 1950); Innazetta was unmarried & lived in Beverly Ma. 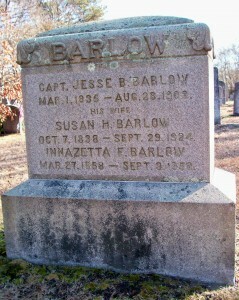 with her sister Flora; She is buried in Pocasset Cemetery with her parents. 2. 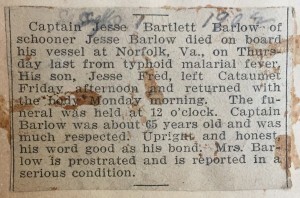 Jesse Frederick Barlow; (1860 – 1930); Married Sarah Lewis Beckerman (1861 – 1921) (John A. Beckerman, Capt. & Rachel Snow (Kendrick)) in Bourne Ma. 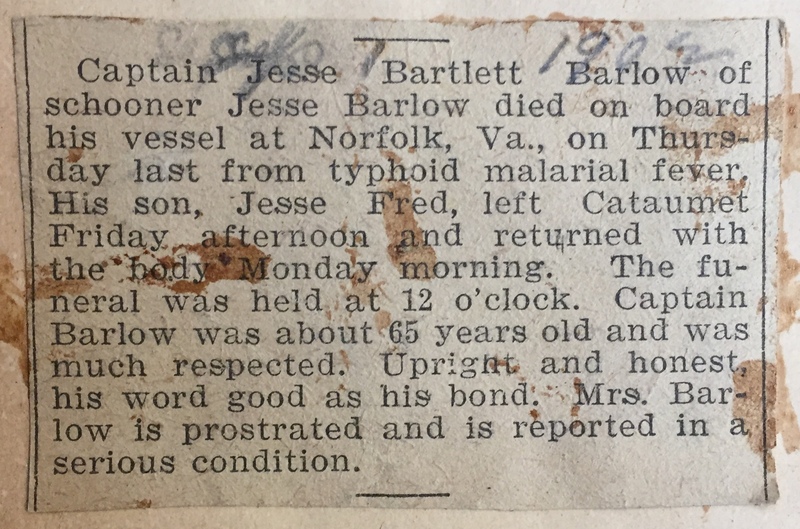 on November 1, 1893; Jesse F. & Sarah are buried in Pocasset Cemetery. 3. 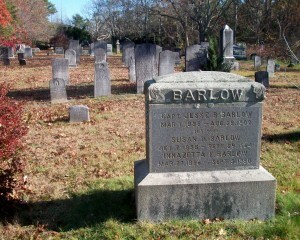 Flora May Barlow Pond; (March 18, 1872 – 1960); Married Clarence Strong Pond, Rev. (1879 – 1939) (Stephen Holmes Pond & Mary Rachel Glenn) in Pocasset Ma. on September 14, 1904; Flora & Clarence lived in Beverly & Salem Ma..